IN A YEAR WHEN POLITICAL CAMPAIGNS have reached a new level of negativity, it’s refreshing to see nonpartisan billboards encouraging people to vote. Just vote. Who wins matters banners hundreds of billboards posted across Minnesota. The Pohlad family, owner of the Minnesota Twins, paid for the signage. I don’t know their political affiliation, and it doesn’t matter to me. What matters is the message. Election Day presents an opportunity to exercise our freedom to vote, to choose the candidates we want in office. If you don’t vote, then don’t complain about the results. I am so ready for this campaign season to end. I am weary of the attack ads. I’d much rather a candidate told me who they are, their views and what they hope to accomplish than attack an opponent. I am so weary of the phone calls, including one from a particularly insistent campaign caller who pushed to the edge of harassment/intimidation/bullying/verbal abuse when I stated my viewpoint. You can bet that candidate will not get my vote, not that I intended to vote for him anyway. I am so weary of the campaign literature that fills my mailbox daily. I don’t even read it. The mailings go directly into the recycling bin. I don’t need to read the accusations, the words that are unkind, hurtful, bordering hateful. I’d rather read positive words. I’d rather just vote on November 6. TYPICALLY, I AM NOT ONE to promote myself. That is why, perhaps, I am not some famous worldwide blogger. I have, though, made a name for myself in Southern Minnesota. Not because that’s highest on my priority list. Rather, I am passionate about writing and photography and my work seems to resonate with readers, Minnesotans or not. Minnesota Public Radio has noticed as has MinnPost. That all said, I am once again among nominees for the “Best Local Blog/Blogger.” The regional arts and entertainment magazine, Southern Minnesota Scene, is sponsoring a competition to choose the “best ofs” in Southern Minnesota. And I happen to fall in to the miscellaneous category. Now, if you think my Minnesota Prairie Roots blog worthy of this honor, please vote for me in the miscellaneous section of the ballot. There are lots of other categories to vote in, too, such as art, music, theater, restaurants and more. You can vote once a day per email address. I am competing against four other blogs/bloggers. So your vote is important. Please share this on social media, if you wish. Minnesota Prairie Roots was voted the “Best Local Blog/Blogger” in Southern Minnesota in 2014. Thank you for your support as I defend my title of “Best Local Blog/Blogger” in Southern Minnesota. FYI: Click here to vote. VOTING CONTINUES now through Labor Day for the Best Local Blog/Blogger in southern Minnesota. 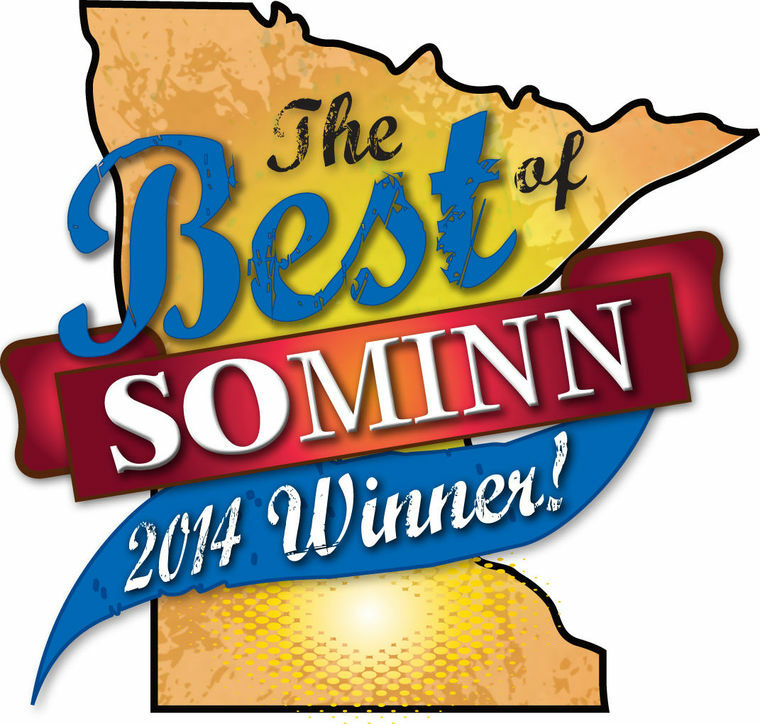 “The Best of SOMINN 2014” is sponsored by the regional arts and entertainment magazine, SouthernMINN Scene. And just to remind you all, Minnesota Prairie Roots is one of three blogs vying for this honor. Unlike other elections, you can vote once daily per email address. Yes. Hey, I don’t make the rules. So, please, exercise your democratic right and stuff my ballot box. I make this campaign promise: I will continue to blog about people, places, events and more with a passion. I love writing. I love photography. And I love this place called Minnesota. And I appreciate all of you faithful readers, especially the nearly 1,000 of you currently subscribing to Minnesota Prairie Roots. THE NOMINATIONS ARE IN, dear readers, for the “Best of Southern Minnesota 2014,” sponsored by the regional arts and entertainment magazine Southern Minnesota Scene. And, ta-da, Minnesota Prairie Roots/Audrey Kletscher Helbling is among nominees for best blog/blogger, along with Dennis Vogen and Anhedonic Headphones/Kevin Krein. I am honored. Truly. To those of you who nominated me, thank you. Now, you have one month, until 11:59 p.m. September 1, to vote. Click here to cast your ballot for Minnesota Prairie Roots and nominations in more than 150 other categories of “best ofs” in southern Minnesota. You need only register your name and email (there’s a promise not to sell your information). You will find the blog/blogger ballot in the miscellaneous category, near the bottom of the page. If you are reading this post, you likely are already among the nearly 1,000 Minnesota Prairie Roots subscribers. You know that I write from the heart about places I go, people I meet, everyday life, area events, my native prairie, the arts, small towns, poetry and so much more. Writing and photography are my passions. I love Minnesota. I love sharing stories and photos from rural Minnesota. It’s as simple as that. I give this place, and you, a voice through my words and images. If you are so inclined, please share this “vote for Minnesota Prairie Roots” request via good old-fashioned word-of-mouth or on Facebook and/or Twitter. I’m not on either social media outlet. I know. I’m among the last hold-outs, just like the last one to get a cell phone several years ago. My husband and I still get our TV reception from a roof-top antenna. But that’s me—the woman who hangs her laundry on the line, finds the scent of freshly-mown alfalfa intoxicating and writes with a passion. Again, click here to vote. Thank you for your support, but most of all, for reading Minnesota Prairie Roots.